Vice, currently serving as the chairman of the so-called Friends of the Temple, dubbed the Palestinian people as some insignificant minority. “You are not a nation. You are an insignificant minority, the faster you leave Israel willingly, the better it will be for you,” Vice’s Facebook statement read verbatim. Groups of Jewish settlers entered the holy Aqsa Mosque in occupied Jerusalem on Tuesday morning under heavy police protection and defiled its courtyards. Local sources told the PIC reporter that the groups, under protection of special police forces, embarked on provocative tours of the holy site in the presence of Muslim worshippers. They pointed out that the worshipers and Aqsa guards were on alert to block any attempt by any of those settlers to perform Talmudic rituals in the holy Islamic site. For its part, the Israeli police imposed tight restrictions on the entry of Palestinian young men and women into the Aqsa Mosque. 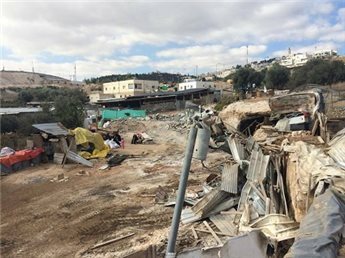 Three Palestinian homes and three structures used for livestock in al-Tur, to the east of the Old City of Jerusalem, were demolished by Israeli bulldozers on Tuesday. According to residents. bulldozers from the Beit El settlement municipality were escorted by Israeli forces into al-Tur, where they demolished homes belonging to the al-Zari family, leaving 23 Palestinians homeless. "Israeli forces broke the main doors, forcibly evicted us and did not allow us to take out furniture or any possessions, but instead gave their workers 30 minutes to take our possessions out of the houses," homeowner al-Zari told Ma'an News Agency, adding that several pieces of furniture were still inside the houses as they were demolished. Mr. Al-Zari says that the houses and structures were built in the 1980s, and that the family had been attempting to obtain the necessary permits and licenses from the Israeli civil administration for years. The family has apparently paid over 150,000 shekels (about $40,000) for lawyers and engineers in the attempt to evade the impending demolition, "but to no avail." A spokesperson for COGAT, the Israeli defense ministry unit in charge of civil administration in the Palestinian territories, told Ma'an via email correspondence that the 6 buildings in al-Tur "were illegal and were built without the necessary permits in a zone which is forbidden for construction because of security reasons, near the seam zone. "The decision on the demolition was taken after demolition orders were delivered and after an enforcement process was completed. We would like to note that the Supreme Court of Justice rejected the appeal submitted by the owners of some of the buildings." In regard to the belongings which were destroyed along with the homes, the spokesperson gave no comment. Israeli forces regularly implement a policy of demolishing Palestinian homes in the occupied West Bank and East Jerusalem, under the pretext that the residents did not have the necessary permits. Palestinians are rarely granted permits to build in areas under Israeli control and, according to the Israeli Committee Against House Demolitions, Israeli bulldozers have destroyed some 359 structures in the West Bank, in 2014 alone. Also in occupied East Jerusalem, Palestinians reportedly threw a number of Molotov cocktails at a Silwan apartment building, just hours after it was taken over by Jewish settlers. No serious damage was caused, no arrests were made and no injuries were reported. However, the building was one of two structures housing 10 apartments that were taken over by Jewish settlers before dawn on Monday, sparking fierce local opposition. Only three weeks ago, clashes erupted when settlers moved into more than 25 apartments in another area of Silwan. A right-wing Israeli organization aiming to increase the Jewish presence in occupied East Jerusalem, called Ateret Cohanim, stated that the acquisitions would double the number of Jews living in that part of Silwan. Ateret Cohanim claims that this particular area was inhabited by Jews from Yemen in the late 19th century. Israel seized East Jerusalem in the Six Day War of 1967, subsequently annexing it in a move never recognized by the international community. Some 200,000 Israelis now live there, alongside 300,000 Palestinians, according to Ma'an. The area is a constant flashpoint for violent confrontations between Palestinian residents and Israelis who regard the entire city as its "undivided capital" and refuse to acknowledge the construction or purchase of houses in the occupied eastern sector as "settlement activity". However, Palestinians, along with supporters from the international community, continue to envision East Jerusalem as the capital of a future Palestinian state. While Israeli government policy is the driving force behind major construction efforts in the area, the state claims that it has no say over private real-estate deals in occupied east Jerusalem. Earlier this week, Israeli President and Likud party member Reuven Rivlin spoke out against such deals conducted between Palestinian sellers and extreme right-wing groups. See also: 10/02/14 Bennet Says Taking Over Palestinian Houses a "Historic Achievement"
Israeli settlers, on Tuesday, set up two new outposts in the Israeli-occupied northern West Bank after confiscating hundreds of dunams of land, an official told Ma'an. According to Ghassan Daghlas, who monitors settlement activity in the region, told Ma'an that Israeli settlers had constructed two steel structures in the al-Dawa area of Khirbet Yanun near the Palestinian town of Aqraba. Additionally, settlers also started razing Palestinian lands in preparation to build a road. Daghlas accused the settlers and the Israeli government of using "all possible means ... to empty Khirbet Yanun of its (Palestinian) residents." A spokeswoman for COGAT did not answer calls seeking comment. In the southern Hebron village of at-Tuwani, on Tuesday, the Israeli army notified a local resident to remove two tents and a shed, according to an activist. WAFA Palestinian News & Info Agency reports that Rateb Jabour, of Hebron's Anti-Settlement Committee, said that an Israeli army force, accompanied by staff from the Israeli Civil Administration, invaded the village and ordered local resident Mohammad Jabarin to remove the two tents which were sheltering his family, in addition to a shed being used to house animals. Residents of at-Tuwani depend upon animal husbandry as their main source of livelihood. Yet, the village has fallen prey to a recurrent Israeli crackdown, according to WAFA. On April 2 of this year, the International Solidarity Movement (ISM) reported the demolition of six Palestinian owned shelters by Israeli army forces in the village. A similar incident occurring on March 16 was also reported by ISM, when Israeli settlers attacked four Palestinian shepherds from the nearby village of Qawawis, as they were grazing their flocks to south of the illegal 'Mitzpe Yair' Israeli outpost. Over 500,000 Israeli settlers now live in settlements across the West Bank and East Jerusalem, in direct negligence of international law. Israeli colonial settlers often act without approval to expand settlements or create new ones in the West Bank, constructing outposts which are illegal even according to official Israeli policy, and with no intervention from civil authorities. In some cases, these settlement outposts are "legalized" by Israel, and only in the most rare of cases are they ever dismantled. Furthermore, Palestinians are rarely granted permission to build in the 60 percent of the West Bank which remains under full Israeli military control, or in East Jerusalem. Overnight, Israeli bulldozers demolished 4 houses including two small barracks, the village of Jifiltik, near the Jordan Valley, also under the pretext that the structures had been built without construction licenses. The demolished houses were property of Mohammed Abu Arram and his son Ihab, Qadri Bani Odeh, Suleiman Daraghmeh and Faisal Bisharat, according to the PNN. Eyewitnesses said that Abu Arram family is made up of 13 persons, 9 of which are children now homeless. Abu Arram's sheep will stay in the open air after demolishing their barrack. Daraghmeh's barrack has now reportedly been demolished for the third time. Hordes of Israeli extremist settlers set up two new illegal settlement outposts in Yanun hamlet, south of West Bank city of Nablus, at the expense of Palestinians’ private lands, and sprayed-painted anti-Muslim graffiti on the walls of an Islamic shrine in Tulkarem. Ghassan Dughlas, in charge of monitoring settlement activity in the northern West Bank, said the settlers constructed a settlement outpost in the southern area of Yanun hamlet and another in the northeastern part of the region. The invading flocks further set up new structures, barracks, and roads to smooth in settler break-ins into the area. The activity would practically culminate in the misappropriation of hundreds of dunums of Palestinians’ cultivated lands. The move makes part of a larger Israeli tactic to evacuate the hamlet and expand Israeli illegal settlements in the West Bank. Meanwhile, a bunch of other Israeli fanatic settlers sprayed-painted racist and anti-Muslim graffiti on the walls of a sacred Islamic shrine in Tulkarem, Abdul Majid Ighbariya, responsible for the sanctities department at al-Aqsa Foundation said Tuesday. The official further warned of projected Judaization and anti-Muslim campaigns targeting the sacred character of such holy sites and aimed at wiping out the historically Islamic idiosyncrasy of the Palestinian territories. Dozens of armed Israeli settlers and soldiers occupied, on Monday at dawn, two apartment buildings and a land, in the Batn al-Hawa area, in Silwan town, south of the al-Aqsa Mosque in occupied Jerusalem. The two buildings consist of 10 apartments; the attack took place around 2 a.m., the Wadi Hilweh Information Center (Silwanic) said. It added that groups of settlers invaded the Central neighborhood in the town, and took over the two vacant buildings, and the land. The first building belongs to resident Salah Rajabi, while the second belongs to Omran al-Qawasmi. Each building consists of five apartments. Silwanic said the families sold their buildings to a resident, identified as Shams ed-Deen Qawasmi, who is believed to be involved in underground deals with settlement groups. The Rajabi building also has a piece of land estimated by 700 square/meters. The families had to leave their apartments nearly four months ago. Shams ed-Deen was also a renter of a flat in an apartment building belonging to Beidoun family, but the building was also leaked to the settlers, with his help, in August this year. The Center said settlement groups, in cooperation with the Israeli government, are trying to fully control all Arab buildings in the Central neighborhood in Silwan, under several claims, including “state land” claim, and under Israel’s “Absentee Property Law," while a few individuals have sold their residencies to the settlers. Local sources said the buildings belong to the families of Rajabi and al-Qawasmi, adding that the buildings seem to have been leaked to the settlers in illegal underground deals, similar what happened to an apartment building in the town. Several years ago, the Elad right-wing fundamentalist settlement group, heavily supported by groups, mainly in the United States, managed to occupy a large Palestinian building in the same area, and turned it into a settlement outpost known as Bit Yonan settlement (the first settlement outpost in Silwan), and Beit al-‘Asal building that was taken over in 2004. 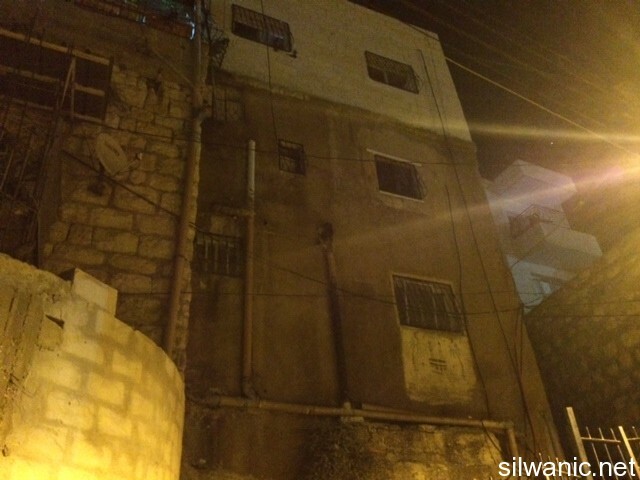 The settlers now have four illegal settlement outposts in the center of Silwan. At least 500.000 Israeli settlers live in different parts of the West Bank and occupied East Jerusalem. Israel’s illegitimate settlement activities, in direct violation of International Law and the Fourth Geneva Convention. 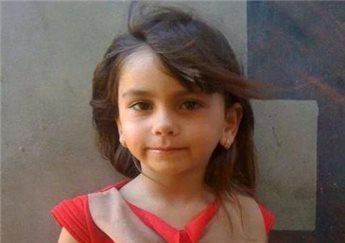 5-year-old Einas Khalil, who was struck by an Israeli settler vehicle, earlier on Sunday, has succumbed to her wounds, according to medics. The girl died after being hit by a car driven by an Israeli settler near the central West Bank town of Sinjil, medical sources at Palestine Medical Complex in Ramallah told Ma'an News Agency. Both Einas and young Nilin Asfour were reportedly walking on the main road near the village when they were hit. 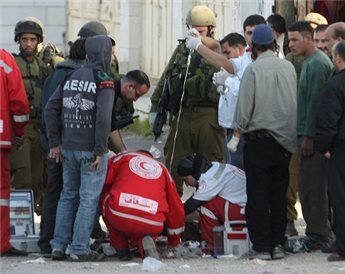 They were taken to the hospital in Ramallah, where their wounds were described as serious. Einas passed away some hours later. Residents of Sinjil have accused the settler of deliberately hitting the girls, as heinous acts of violence against Palestinians such as this are not uncommon in the occupied territories. Israeli police claim to have opened an investigation. More than 500,000 Israeli colonizers now live in settlements across the occupied West Bank, including East Jerusalem, in direct violation of international law. A 5-year-old Palestinian child was killed in a hit and run accident in Sinjil village, north of Ramallah, afternoon Sunday while her little friend was seriously injured. Eyewitnesses said that a Jewish settler deliberately rammed into the two little girls, both 5 years old, while they were returning home from kindergarten. They said they saw the settler changing course and heading toward the little girls, Enas Shawkat and Tulin Omar, at the entrance to the village. Medical sources at Palestine medical complex in Ramallah said that the two girls arrived in critical condition and that one of them, Enas, succumbed to her injuries soon after arrival while the other was still in intensive care. Two young Palestinian girls were injured Sunday when they were hit by an Israeli settler vehicle on the main road near the central West Bank village of Sinjil, medical sources said. Einas Khalil, 5, and Nilin Asfour were taken to Palestine Medical Complex in Ramallah where medics described their wounds as serious. Israeli police arrived at the scene shortly afterward and opened an investigation into the incident, locals said. It was not immediately clear whether the incident was deliberate or an accident. Over 500,000 Israeli settlers live in settlements in the occupied West Bank, including East Jerusalem, in contravention of international law. Members of the extremist Jewish group "students for the temple mount" on Sunday morning desecrated the Aqsa Mosque's courtyards under tight police protection. Local sources said that Israeli university students from this group toured the Mosque's courtyards as they were making racist slurs against Arabs, while the Israeli police at the gates tightened entry restrictions on Muslim worshipers and confiscated their IDs before allowing them in. The student group had declared its intention two days ago to defile the sanctity of the Aqsa Mosque in solidarity with extremist rabbi Yehuda Glick, who was barred by the police from entering the Islamic holy shrine until next week for his own safety. Meanwhile, the Mosque's guards and servants in addition to many Muslim worshipers spread through its courtyards and near its building to confront any attempt by the fanatic students to perform Jewish rituals. Early Saturday morning around 30 settlers trespassed on Mohammad Sadiq Knebi's land in Tel Rumeida, Hebron, and destroyed his protective fence. According to the International Solidarity Movement, the fence was built to protect his land and his olives trees from settler attacks. In the past, settlers have destroyed, burned and stolen olives from Mohammad's trees. After 5 years of attempting to get a permit from the Israeli government, Mohammad was finally given a permit for the fence this year. Although he has received permission to build his fence, settlers have been trespassing onto his land and destroying the fence for the past few weeks. 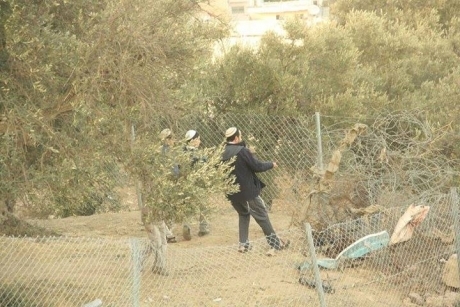 Today, Israeli police and Israeli soldiers accompanied the settlers as they destroyed the fence. They did not prevent the settlers and even went so far as to blame Mohammad for the attack, telling him that he should not have built the fence if he did not want the settlers to attack his land. A number of extremist Israeli settlers invaded, on Saturday, Palestinian olive orchard in the al-Jab’a village, southwest of Bethlehem, and cut nearly 50 olive trees. 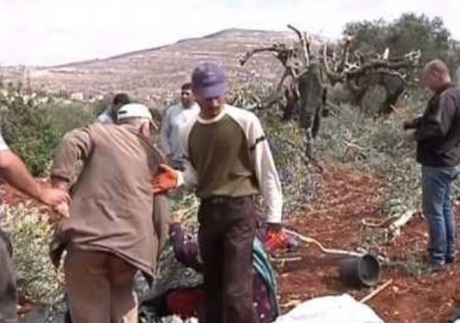 Resident Ibrahim Abu Lateefa said he went to his orchard in the al-Jamjoum area, east of the village, to find out that the settlers cut 14 olive trees, and around 36 olive trees belonging to residents Mohammad Ahmad Masha’la and Ali Abu Lateefa. The al-Jab’a village has been subject to frequent Israeli settler attacks, and attacks by the army, including bulldozing agricultural lands, uprooting and cutting dozens of trees. Although such attacks happen frequently around the year, and also include burning lands and trees and flooding them with sewage, they usually escalate during the olive harvest season. Palestinian guards of al-Aqsa Mosque foiled Saturday morning two settlers’ attempt to infiltrate into the Mosque via Asbat gate. 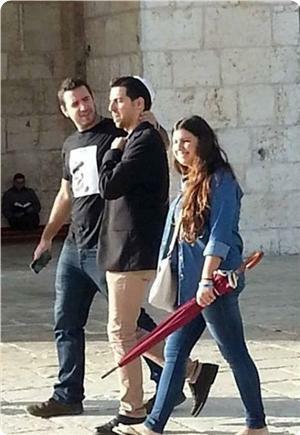 A PIC reporter quoted local sources as stating that two settlers dressed as Arabs tried to enter al-Aqsa Mosque via Asbat gate. They were later discovered by the Mosque guards and handed over to Israeli police stationed at the gate. On the other hand, Hamas Movement said that PA chairman Mahmoud Abbas’s calls for intensifying Palestinian presence in al-Aqsa Mosque ran contrary to his security forces’ practice of quelling pro-Aqsa demos in the West Bank. Spokesman for the Movement Sami Abu Zuhri said PA security forces are preoccupied in suppressing marches in support of al-Aqsa Mosque instead of defending the holy place from Israeli settlers’ attacks. 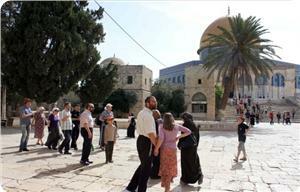 On Friday, violent clashes broke out overnight throughout the Old City of occupied Jerusalem. Two Israeli border guards were injured during the clashes by fireworks, while dozens of Jerusalemite youths suffered rubber bullets injuries and breathing problems after inhaling tear gas fired by the Israeli police. Similar clashes erupted in Jerusalemite towns of Tur, Shiah, Isawiya, and Ras Amud while a group of settlers set fire to dozens of trees in Sawwanna neighborhood in the Old City. Today Palestinians and international activists participated in a Palestinian village community action which involved reaching an area of their land which has been declared a closed military zone. The action also consisted of dismantling a new illegal settlement outpost built by settlers. Over the past month the settler outpost has been dismantled by the Palestinians and rebuilt by settlers three times. According to Palestinians living in the area, Israeli forces have permanently stationed a military jeep in this area to survey and protect the illegal settler outpost. The illegal outpost is right next to a water well which the Palestinians rely on for daily use and livestock. Each time the Palestinians go near this piece of land the area is declared a closed military zone by Israeli forces and the Palestinians have been prevented from reaching it many times in the past. Palestinians from the local community and international activists successfully and peacefully dismantled the outpost. 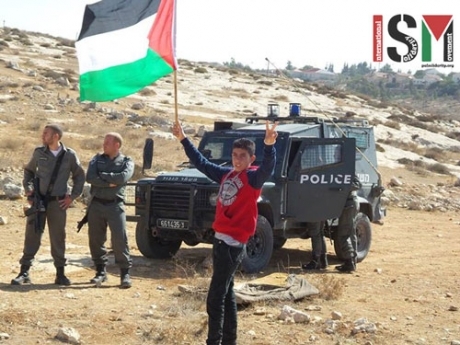 A Palestinian child also removed an Israeli flag from a military outpost nearby. Settlers were present in small numbers watching and shouting at the Palestinians and activists. After a short time, the Israeli armed forces forced the Palestinians and international activists to leave the area, declaring it a closed military zone. A number of fanatic Israeli settlers attacked, on Friday evening, a young Palestinian man from Jerusalem, and attempted to strangle him to death, while working at the Rimonim Shalom Hotel, in west Jerusalem. 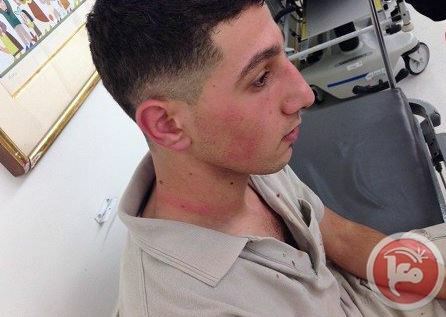 His father said Mohammad was working when the settlers started insulting and cussing at him “for being an Arab," before one of them struck him with an iron bat, while the rest were beating on him and attempted to strangle him by wrapping a rope around his neck.